UAI continues to make steady progress as it consolidates gains made to-date and moves forward with immediate priorities including the mobilization of resources to give effect to the Strategic Plan adopted last year. A bank account – details below – has been established and a strategy developed to help generate financial support from within and beyond the UAI movement. Funding is urgently required to employ a small number of staff to carry out activities geared to the production of knowledge such as the development of an Independent Humanitarian Watch (IHW) and reports, similar to the study, now near completion, on the criminalization of asylum in Europe; to assist and promote collective action to advance advocacy; for the development of partnerships with like-minded civil society groups and for the overall management of UAI’s programme of work. Needless to say, suggestions or contacts that will facilitate donor support are both welcome and important. UAI has been busy expanding and strengthening networks as detailed below. An initial guidance note for Supporters and Affiliated groups has recently been adopted by the IEC to facilitate joint action in the future. The University of Edinburgh has kindly provided technical and financial support to commence a Mapping and Scoping study in the context of the IHW initiative. During the incubation phase 2017-18, which was graciously supported by five French organisations and in-kind contributions from academia and others in diverse locations, numerous consultations were held around the world in order to share UAI concerns and listen to other people’s ideas about how best to confront the lack of protection for some of the most endangered people on earth. Building on these inputs, UAI adopted its Call to Action on 2 Oct 2018. This sets out UAI’s objectives and modus operandi. Through recording, analysing and publishing relevant information on the fate of civilians trapped in today’s armed conflicts or forced to flee from them, UAI aims to increase public knowledge of war-related atrocities and the suffering inherent in the erosion of the global asylum regime. The creation of an Independent Humanitarian Watch will be the centrepiece of UAI’s action in generating evidence of inhumanity. UAI will use this information to enhance the safety and protection of affected individuals by advocating and lobbying for change in the behaviour of governments and non-state armed actors responsible for atrocities through increased political and reputational damage for actions that are harmful. UAI will work in close partnership with civil society groups around the globe to create an international civil society network and alliance to press for real change. UAI is now embarking on a fundraising initiative in order to strengthen and professionalise the organisation. For reasons of independence, UAI will not seek government funding for the secretariat and its advocacy activities. UAI’s work programme consists of three pillars: knowledge production, promoting collective action in civil society and partnerships with like-minded civil society organisations. UAI’s programme proposal sets out its objectives as well as a detailed programme of work for 2019. In order to move from an emerging project to a functioning programme and campaign with a small secretariat, the required budget for the current year is estimated at 442,000€. In line with the Programme Proposal UAI has started fundraising to implement its priorities for 2019. UAI’s immediate fundraising priority is to secure non-earmarked funds to enable it to recruit the core personnel required to implement its planned activities; this translates into 2.5 full-time posts. Without such personnel, UAI will not be able to carry out the programme of work foreseen for 2019. The required budget for the current year is estimated at 442,000€. The Programme Proposal, including a detailed budget breakdown, is available from UAI and is designed to facilitate interaction with potential donors. UAI’s fundraising team would be very grateful if friends, colleagues and supporters who have recommendations on whom to contact for soliciting financial support would get in touch urgently. To support campaigns promoting UAI’s objectives around the world. Different events, co-organized with, and funded by the Human Rights Institute, Deutso University, were held in early November in Bilbao to useful effect. These included an interactive workshop with NOHA students on “The Crisis of Multilateralism and the Future of Humanitarian Action”, a seminar with academics and protection experts on research on protection in the context of humanitarian action and a dedicated consultation with students, academics and others on the genesis, objectives and plan of action of UAI in its consolidation phase. IEC members, Antonio Donini and Norah Niland, participated. There was broad sympathy for the UAI initiative and agenda. Issues that arose during discussions included the plight of asylum seekers and migrants in the Mediterranean, street demonstrations against the sale of weapons by Spain to Saudi Arabia, and the importance of individuals making a connection with issues and campaigns in a way that allows them to engage. In the context of a discussion on Common Article One (CA1) of the 1949 Geneva Conventions, some participants noted that violence has become normalized and CA1 may present opportunities to channel frustrations with the status quo and remind governments of their responsibility to “ensure” that the Conventions are respected in all situations of war. Some of the issues that were flagged in this connection included problems in Venezuela, violence in Guatemala, sanctuary cities, arms sales, and the need to unite urban and rural initiatives in countering inhumanity. Francis Charhon, Head of the GRUPC (Groupe de Réflexion Urgence et Post-Crise) and a UAI founding member, invited Ulrike von Pilar and Jean-Baptiste Richardier to present the initiative to a GRUPC meeting of CEOs of several French humanitarian NGO. The UAI concept and agenda received a warm welcome including its visual identity and logo; thus special thanks to the pro bono work of Medias Res, a specialist communications enterprise. Progress made on the identification of concrete goals were noted and welcomed. A representative of one of the initial funders expressed concern that despite UAI efforts to date, its centre of gravity appears to be in Europe and provided information on entities in a position to facilitate contact with organizations in the Global South. There was broad agreement on the need to build a professional secretariat and at a subsequent meeting on 26 January, the UAI programme proposal/plan of action for 2019 was presented. Ulrike von Pilar and Jean-Baptiste Richardier gave an overview of UAI activities and achievements and stressed that one of the most important priorities for 2019 was to raise sufficient non-earmarked funds to start a small secretariat. The discussion highlighted the recurring question of the added value of UAI and how it sees its role vis-a-vis existing human rights and humanitarian organizations. It was noted that while UAI will focus its activities on the inhuman treatment of civilians in conflict and people on the move as well as rampant violation of humanitarian norms, it will also promote and support the building of coalitions on issues of mutual concern. The need to strengthen complementarity and coherence of existing but sometimes disparate initiatives was highlighted; it was noted that UAI had the potential to facilitate such a goal given its broad membership base. This promising line of action was illustrated by the Aquarius ship of SOS Méditerranée that lost its flag because there was no strong and coordinated reaction from other actors in France and elsewhere at the dramatic reduction of rescue activities in the Mediterranean. It was stressed again that UAI has no intention at any kind of competition but wanted to add a voice on the lack of empathy and indignation in view of what happens to at-risk civilians in, or fleeing from, today’s conflicts. It is anticipated that some further financial support from a few French NGOs will result from these successive presentations and discussion. The Paris Peace Forum (PPF) marking the 100th anniversary of the ending of World War I was conceived and organized by the Macron government as the first of a series of annual gatherings to discuss and push forward ideas to improve global governance centred on five core themes: peace and security, the environment, development, new technologies and inclusive economies. The first day of the Forum brought together heads of State and senior Government officials from around the world with a focus on collective action as a mainstay of effective international relations. President Macron said the Forum would allow people to “think together, propose concrete initiatives, and reinvent multilateralism…to ensure peace gains ground every day.” The second and third day of the Forum involved panels and “agoras” in which hundreds of NGOs, civil society groups and private sector participated in dozens of smaller and larger simultaneous events. The UAI team at the PPF included Jean-Baptiste Richardier who was in attendance on the first day, Antonio Donini, Khaled Mansour, and Norah Niland. They were focused on networking and making contact with the many different entities present. Some of these had dedicated stands while others, such as UAI, found opportunities to engage in various panels and share copies of the Call to Action. UAI highlights included a mini agora, moderated by Pauline Chetcuti, a UAI founding member and Head of humanitarian advocacy at Action Contre La Faim with presentations by Khaled Mansour and Jean Marie Guéhenno, former UN under secretary-general for peace-keeping and former head of the International Crisis Group. Participants posed interesting questions and were supportive of the UAI message; some continued to discuss issues of mutual concern well after the event. Antonio Donini and Norah Niland did a pitch event that focused on the issues, reflections and the consultations that led to UAI as well as its current status and future agenda including partnering with like-minded groups. Various PPF events such as a large agora on “The Long Road towards a Comprehensive Approach to International Migration” included some well known personalities such as the Chair, Rouba Mhaissen, Founder and Director of the Sawa Foundation and collaborator on the UAI Beirut consultation as well as Gilles Carbonnier, Vice President of the ICRC who welcomed a UAI query on the criminalization of migrants and aid workers. An agora session on “Sober Celebrations for the UN Human Rights Declaration” acknowledged the achievements and continued growth of the human rights movement but expressed concern that “traditional champions” were increasingly part of the problems that lead to violations. Speakers also noted that the Global War on Terror, and related demonization, was “the biggest Western hand-out” to those antagonistic to human rights. Speakers underlined the importance of moral courage and local initiatives as well as the significance of small and medium-sized countries in the context of eroding multilateralism. The UAI team met and briefed a diverse cross-section of individuals and entities from around the world on UAI’s objectives. These included Ladkhar Brahimi who as a member of the Elders welcomed being introduced to UAI as did Hosh Ibrahim, Director at the Mo Ibrahim Foundation and a host of other colleagues working with Reporters Sans Frontières, Protect Defenders, the Center for Civilians in Conflict (CIVIC), the Leadership Initiative for Transformation and Empowerment (LITE), Human Rights Watch, Norwegian Refugee Council, Médecins du Monde and their programme concerned with the Elimination of Violence Against Migrants (EVAM), amongst others. More than 30 invited participants – active and retired humanitarians, academics and representatives of diaspora groups, took part in a day-long consultation on the way forward for UAI in the UK. The aims of the consultation were: to consider four possible issues of focus for UAI in the UK; and, to consider options for the establishment of UAI in the UK as a UAI “affiliated group”. After an introduction to UAI and its progress so far, and a personal account of why one founding member had been inspired to join, the Chair introduced four short sessions on possible topics for UAI’s future work in the UK. UAI was founded on the outrage of individual citizens unwilling to sit back while atrocities were perpetrated on civilians in war and those seeking asylum with no effective response from governments so citizen action is needed. UAI’s adoption of a decentralised structure in which groups and individual citizens in all parts of the world can make their voices heard in ways they find appropriate was welcomed. There was very strong support for the idea of an Independent Humanitarian Watch (IHW) and a potential Inhumanity Index. The organizers of the meeting were asked to initiate a dialogue with UAI’s International Executive Committee to discuss the establishment of an “affiliated group” in the UK. Participants underscored that they wanted to meet again to move things forward within weeks rather than months; the organisers agreed to prepare proposals for the next meeting. UAI supporters from diverse backgrounds met (28 January 2019) in Berlin to review recent developments and plans for 2019. Participants indicated significant interest in the development of an Independent Humanitarian Watch and activities geared to influencing public discourse including in particular on the issue of asylum. The importance of investing in narratives that challenge anti-migrant and related perspectives was noted; this and related issues will be further reviewed at the next UAI Berlin meeting. The three IEC members – Tammam Aloudat, Antonio Donini, Norah Niland – in Geneva continue their advocacy and networking efforts with the large humanitarian community in this area focussing on the extension of our contacts including with non-humanitarian actors such as personnel with governments, development and political organizations and the media. UAI participated in various gatherings such as an NRC panel on displacement in Afghanistan (in the context of the international donor conference on Afghanistan at the UN). Presentations on UAI were given to World Vision country directors, HQ staff of the ACT Alliance, Geneva Call, the Small Arms Survey as well as visiting NGO and academia colleagues. Further to earlier consultations, steps are afoot to establish a more formal UAI presence in Italy. A meeting of the prospective “Rome Group” is planned for 13 February and a larger public event a month later. The Call to Action identifies one of UAI’s responsibilities as “Mobilise for Change”, to be achieved by “promoting collective action in civil society”. Since UAI’s first General Assembly adopted the Call to Action last October it has been considering how best to put the call into effect. The Programme Proposal for 2019 includes as a key component for priority action: “Support the emergence of affiliated groups, especially in non-OECD countries”. How are these “affiliated groups” expected to emerge? The initial Guidance for Supporters and Affiliated Groups provides some answers. Groups are invited to contact the IEC with their ideas and discuss how to get started. As groups become established, the IEC will review and revise the guidance, which may eventually be incorporated into UAI’s bye-laws. A draft of the report commissioned by UAI on “Asylum Criminalisation and the Effects on Humanitarian Action in Europe” was received and is currently under review. 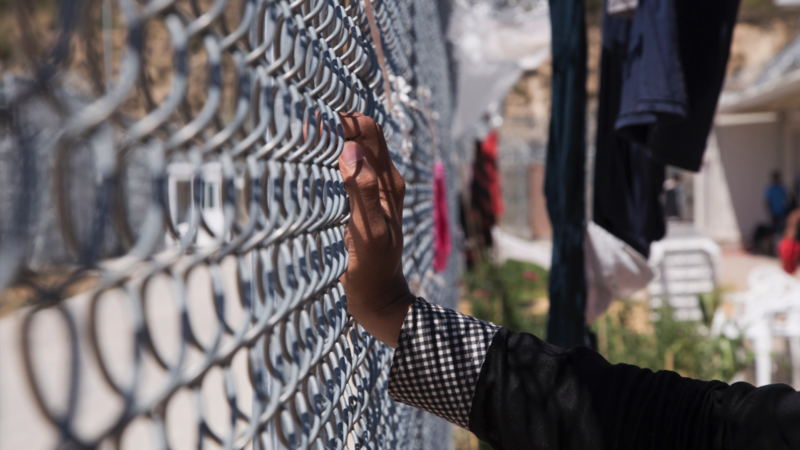 The report summarises recent policy developments in relation to the criminalisation of asylum seekers as well as those who oppose the deterrence measures put in place by the EU and its Member States. The purpose of the report is for UAI to gain a better understanding of the factors driving the criminalisation process in the context of asylum, including the obstruction and prosecution of maritime search and rescue operations as well as NGOs and individuals assisting asylum seekers within Europe. The paper maps out existing actors and initiatives challenging these trends by monitoring and publishing information on incidents and cases, undertaking strategic litigation against the EU and its Member States and by mobilising the wider public (among others). The IEC is now in the process of reviewing the report and is soon set to discuss how it will use the report to challenge the ongoing criminalization of asylum in Europe. TheUAI website went live on 26 October 2018and, over time, content about activities, ways to donate, and subscription to updates has increased. Audrey Sala, Coordinator of the Humanitarian Alternatives journal and a UAI founding member has undertaken most of the communications work. She is also keeping social media handles as active as possible. A communication expert has offered to volunteer, on a part-time basis, for a few months as UAI Communications Manager. She is set to start in February 2019 to help develop UAI communication and digital media strategies, a visual identity, campaigns, and content in various formats. A UAI Facebook page is established and active as well as a Twitter account. Most UAI communication work is now focussed on reaching possible partner organisations and individuals through various media including public events such as the Paris Peace Forum, academic seminars and conferences, organised meetings with NGOs and activists. UAI also posts information about these activities on its own multiple platforms. Since the creation of our digital platform and social media profiles we have gathered 44 followers on Twitter, 119 on Facebook, 704 subscribers to our Newsletter and 817 visitors on our website with an average of 220 visitors per month. A YouTube channel was also created. To continue spreading the message you are encouraged to follow UAI on Facebook and Twitter! Discussions at a technical meeting at Edinburgh University in September 2018 on the different issues and perspectives that need to be considered in the context of developing an Independent Humanitarian Watch (IHW) greatly informed subsequent UAI decision-making. The IEC agreed at its end November meeting to prioritize action in 2019 on the establishment of the IHW that, in all likelihood, will be a multi-year project. This will commence with a Mapping and Scoping exercise in order to identify existing programmes and initiatives relevant to the IHW and to avoid duplication in the mobilization and analysis of credible data. The study is also designed to identify insights relevant to the formulation and maintenance of monitoring and investigative systems that can assist the organization and end use of IHW data and analysis. Consultations have been held with colleagues at Edinburgh University that kindly identified a recent PhD graduate and provided a small amount of funding to initiate this exercise that will focus on mechanisms tracking war-related atrocity and measures that inhibit or deny the rights of those seeking asylum and refuge.